Being a member of a group-buying site entitles you to the most important feature – the subscription mails. They arrive to your mailbox everyday – without fail. It allows the subscribed members to check out the latest deals conveniently. 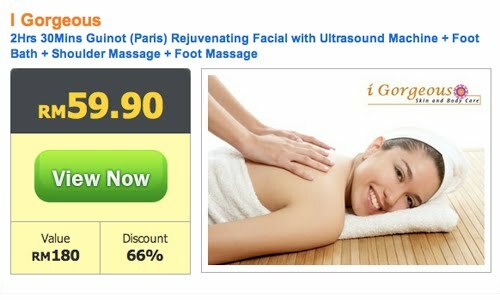 This automated (or manual, I’m not sure) function delivers it to your mailbox, tempting you to purchase any of the deals which are greatly discounted. Although I’ve been receiving them everyday, I don’t bother buying. Perhaps just a quick look, and then delete. Why? It’s simply because majority of the promoted deals are focused towards women. Body massage, slimming package, underarm waxing, facial therapy and bust enhancement. 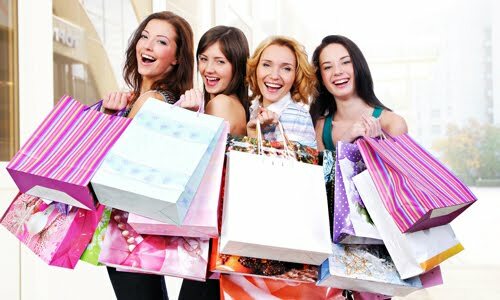 Anyway, stereotyping or not, it seems that women have better spending power and are more prone to be lured by discounted prices and attractive advertisements. 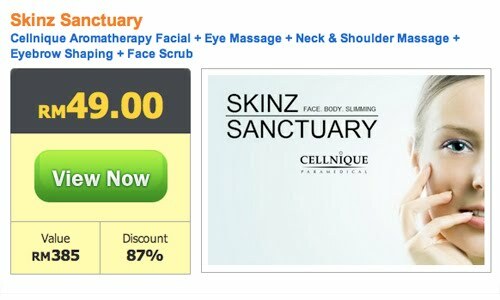 It’s your opportunity to achieve beautiful and flawless skin at Skinz Sanctuary. Which lady doesn’t wanna look pretty? Getting pampered with a massage session is definitely one of the activities ladies love to experience. So sensual, so relaxing eh? Another body massage deal. Do the ladies really love to be caressed and stroked on the body? This deal sorta gives me the impression that they love to be touched. Heh. Make-up with fake eyelashes – beauty is always uno numero for the ladies. It’s definitely a tool to capture a man’s attention and to make the other ladies jealous. Underarm skin peeling, what can I say more? So ladies (and gentlemen), now you’ve seen the perfect examples of why group-buying deals are mostly meant for the ladies. Furthermore, the more beauty-related deals you present to them, chances are they’ll buy without a second thought. Well, maybe there is a second thought – but surely there won’t be a third thought! The model is so handsome, and he’s definitely an ambassador of Kenz Sanctuary. You wanna be as good looking as him, right? Men love being massaged too! No matter how painful the massage is, a guy will endure the ‘torture’ like a TRUE MAN! Bring it on! Once again, men love being massaged! Remember to request for the flowers when you go for the Hot Stone Back Massage at Ken Gorgeous. You want nice biceps, or even nice abs? The body “make-up” provided by Ken The Handsome can tone up your muscles. Plus, you get a free fake 6-pack abs – GOOD DEAL! Not enough armpit hair? There’s a solution for more bushy armpit hair by Ken Wellness Salon – specializes in armpit hair! Okay, hey… STOP looking at my bushy armpits, again! Pfftt! So guys… with great deals, comes great responsibility. Would you consider buying the deals above? They’ll definitely make you more good-looking and attractive than ever! Coz dear men out there, it’s time to revolutionized the group-buying trend on the Internet. Men shall prevail, and you have nothing to lose! Ken the handsome… seems legit. hahahhaa..wth.. I didn’t realised it was you until the third picture (in green tee) then I had to retrack and look at the previous pictures. hahaha..
Love the ads pictures with your face on them! Hilarious. Very creative works. Well done. soon you will be rich man…. HAHAHAHAHA! this one make me LOL in the office!!!!!! hahahahahahaha!!! good la u! 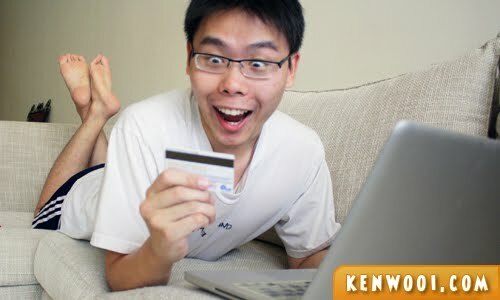 lol you also subscribe to their newsletter.. i have a guy friend, who is into this group buying thingy too. he bought 30 GSC tickets, and finished it within 3 months lolol. hehehee….love the last few pictures!! Nice topic! Make sure you present it in Toastmasters Meeting kay! Joker lol, your pictures!!! :D But I never buy those, I wonder who does? U actually got figure.. hm hm.. LoL..
Hahaha! Funny to see your photoshopped pictures! Next time should add in “Abs sculping” offer by showing your abds yo! That last pictures looks cute and funny LOL hehehe!! Chest (and abs) massage for men? Hell noooo! !